Bottles of Napa Valley Cabernet can reach well into the hundreds, but there are plenty of great ones for $85 or less. Here are our picks. 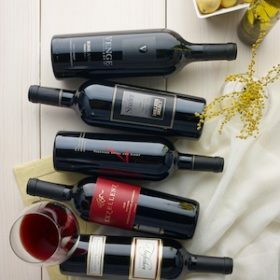 Finding the right bottle of Napa Valley Cabernet Sauvignon is tough for anyone who wants to stay within a modest budget. 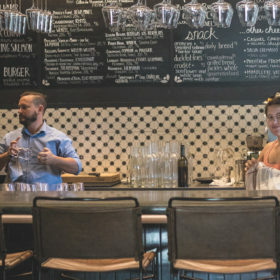 The prices can seem out of reach to anybody who isn’t a vested entrepreneur. Part of the reason for that reality is the cost of the region’s grapes is notoriously high: $7,421/ton on average just last year, as opposed to $2,209/ton in Mendocino County. Labor and other production costs have to be factored in as well. And, ultimately, there’s the undeniable fact of scarcity. 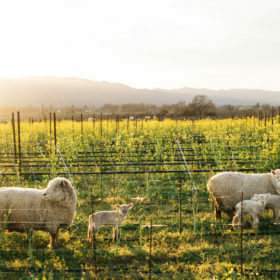 At 30 miles long and only a few miles across, the Napa Valley American Viticultural Area (AVA) isn’t all that big and only accounts for a wee 4% of all California wine. But it is possible to defy the odds and find great, quality bottles for a more modest price. Here are 10 wines, $85 and below, perfect for gifting and enjoying over the holidays. They reflect an enviable span of tremendously good vintages, starting in 2012. Trefethen 2015 Family Owned Estate Grown Cabernet Sauvignon (Oak Knoll District); $60, 95 points. Blended with small amounts of Petit Verdot, Malbec and Merlot, this is an impressive wine well worthy of the producer’s 50th anniversary. Currant, boysenberry and light handfuls of spice are wrapped in soft, polished tannins that offer an elegant length. Editors’ Choice. Inglenook 2015 Cabernet Sauvignon (Rutherford); $78, 95 points. This bottling reflects the past several years’ fine-tuning the winery’s vision in the vineyard and in the cellar. Including small amounts of Cabernet Franc, Petit Verdot, Merlot and Malbec, it’s a rounded, concentrated wine that expresses the vintage with ripe, grippy tannins that beg for further resolution. Blackberry, clove and leather flavors rise to the fore. Cellar through 2035. Cellar Selection. Turnbull 2015 Estate Grown Reserve Cabernet Sauvignon (Oakville); $85, 95 points. This is a grainy, herbal red wine, boldly tannic and softly smooth in texture. It takes on mountain airs of sage, clove and tobacco, with a brushy graininess that adds complexity and intrigue. Blackberry, black cherry and currant give a tart fruitiness to the flavor. Spring Mountain Vineyard 2014 Cabernet Sauvignon (Napa Valley); $75, 94 points. From the producer’s high-elevation, 225-acre site on Spring Mountain, this is mineral in crushed rock and sanguine characteristics, with a hit of graphite and black licorice. The fruit is subtle, a mix of black currant and plum wrapped in contrasting notes of cedar and mocha. Medium-bodied, it shows structure and elegance. Editors’ Choice. Bella Union 2015 Cabernet Sauvignon (Napa Valley); $80, 94 points. Fermented in stainless steel, then aged 16 months in French oak (60% new), this wine is brightly aromatic in tones of cherry, cassis and spicy clove. Supple and integrated on the palate, it has depth at its core, with an intense ripe berry flavor. Lail 2015 Blueprint Cabernet Sauvignon (Napa Valley); $80, 94 points. Made by Philippe Melka, this wine sources fruit from across the valley, adding in 7% Petit Verdot. Structured, chalky tannins settle into a soft, billowy entry of cassis, clove and quiet oak. Dried herb and additional baking spices touch up the lengthy finish. Editors’ Choice. Axr 2014 Cabernet Sauvignon (Napa Valley); $84, 94 points. Tart in red and black currant, this wine offers explosive acidity and fleshy polished tannins, the core densely structured and full-bodied. Given nearly two years in French oak, 75% of it new, it is accented in woody, herbal layers of dust and earth. Enjoy 2024–2030. Cellar Selection. Heitz 2012 Trailside Vineyard Cabernet Sauvignon (Napa Valley); $85, 94 points. From a certified-organic vineyard in Rutherford, this is a 100% varietal wine that impresses from start to finish, allowing room for a slight whiff of reduction and tar on the nose. Dark notions of coffee are interwoven between bright layers of cassis and red cherry around structured acidity and oak. Enjoy 2020–2028. Cellar Selection. Paradigm 2014 Cabernet Sauvignon (Oakville); $84, 94 points. 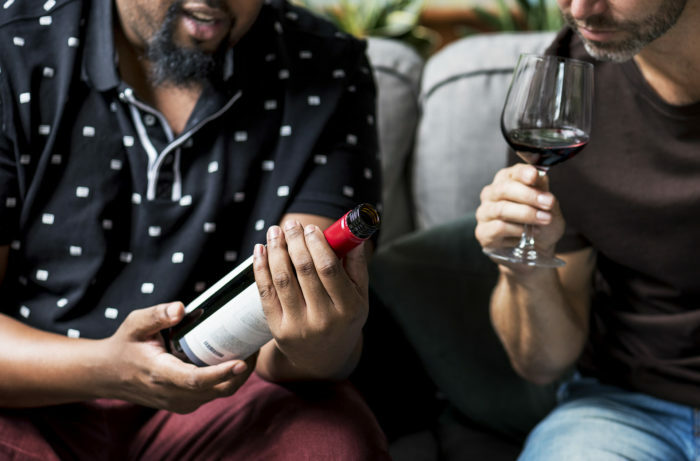 Smooth, youthful and concentrated, this wine offers earthy graphite and tobacco around a midpalate of well-developed, lively acidity and fresh black fruit. Tenacious in oak and tannin, it needs time to develop further; enjoy 2024–2029. Cellar Selection. Spottswoode 2015 Lyndenhurst Cabernet Sauvignon(Napa Valley); $85, 94 points. This remains one of the most impressive wines at its price point—a varietal wine blended with small amounts of Merlot, Cabernet Franc and Petit Verdot, from both the producer’s estate and other pedigreed sites. Tense acidity buoys a brawny tannic profile that settles into lushness texture, highlighted in black fruit, butter, gunpowder and plum. Editors’ Choice.